Once again I’m prepared to relate a part of the history of our Island that we as a people hear very little about. Mr. Herbert Simon’s was no ordinary business man. He came from a large and productive family. 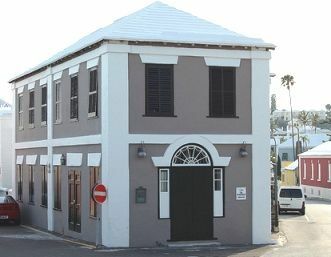 The Simon’s name was well known in Warwick Parish Bermuda. 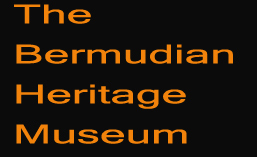 Herbert or Herbie as he was called was identified with the Deluxe Cleaners a very successful business under his stewardship for many years and in its final stages was located on the Serpentine Road Pembroke Bermuda. This was not Herbert’s only venture. He had a great desire to own and operate a guest house. He accomplished this by first purchasing a large private estate house from M. A. Gibbons Ltd. and with that purchase he opened a Hotel situated on new Road Warwick. He named it “SUNNY BANK HOTEL” It opened its doors under the owner ship of the Simon’s brothers Herbert, Clarence and John. Herbert became the manager and his goal was to make this the best accommodations for visiting guest to the Island. He would cater primarily to black tourist. It was a small hotel and it only accommodated fourteen people. Herbie was not completely pleased with this idea so he and his brothers decided to expand on the building. They design plans to build on another six bedrooms and bathrooms this would afford them the opportunity they were looking for more guest for the hotel. SUNNY BANK was situated on one and a half acres of land. It stood as a three-story hotel and had seven double bedrooms a lounge large dining room spacious kitchen and snack bar. There was three vast balconies as well as a roof garden which accorded a panoramic view of Hamilton Harbour and the great sound. There was also the beautiful ‘BANANA TERRACE” where there were plans to sponsor entertainment which was opened to local as well as overseas guest. The estate was surrounded by beautiful shrubs and a huge poinciana tree. The large spacious lawn was utilized for playing clock golf, badminton and bowling. They made very sure that their goal would be achieved and definitely cater to the tourist trade. SUNNY BANK was also made available for weddings, banquets and parties. Is the ambition of today’s entrepreneur changed ? Where are the small friendly guest houses that gave the tourist the family atmosphere? Bermuda needs more persons as the Simon’s brothers. Would ideas such as these keep the Island to the fore or is the competition too great? only time will tell.